We&apos;ve just created a custom node and applied it to a specific process in our Dynamo graph. And we like this node so much, we want to keep it in our Dynamo library to reference in other graphs. To do this, we&apos;ll publish the node locally. This is a similar process to publishing a package, which we&apos;ll walk through in more detail in the next chapter. Let&apos;s move forward with the custom node that we created in the previous section. By publishing a node locally, the node will be accessible in your Dynamo library when you open a new session. Without publishing a node, a Dynamo graph which references a custom node must also have that custom node in its folder (or the custom node must be imported into Dynamo using File>Import Library). 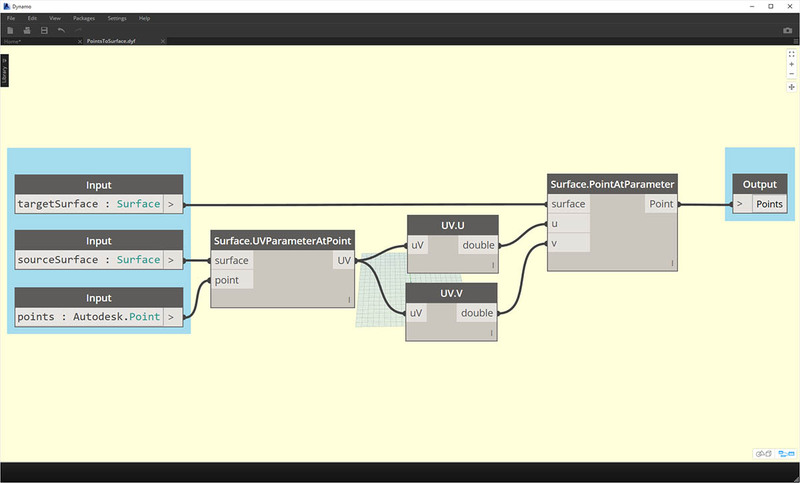 After opening the PointsToSurface custom node, we see the graph above in the Dynamo Custom Node Editor. You can also open up a custom node by double clicking on it in the Dynamo Graph Editor. To Publish a custom node locally, simply right click on the canvas and select "Publish This Custom Node..."
Fill out the relevant information similar to the image above and select "Publish Locally".. 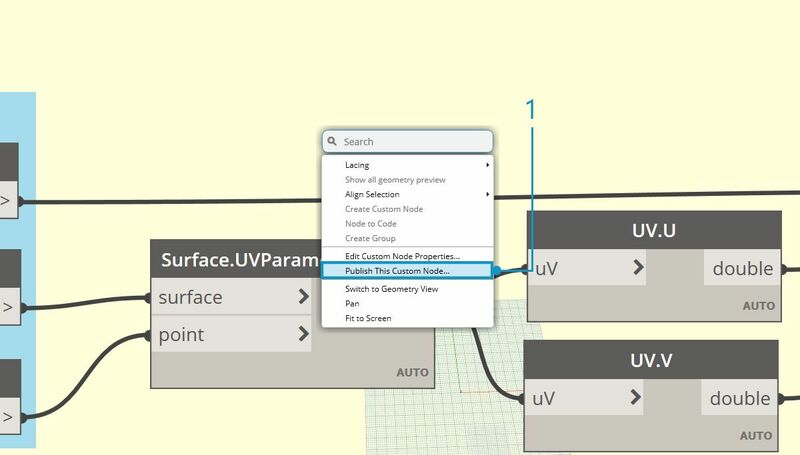 Note that the Group field defines the main element accessible from the Dynamo menu. Choose a folder to house all of the custom nodes that you plan on publishing locally. 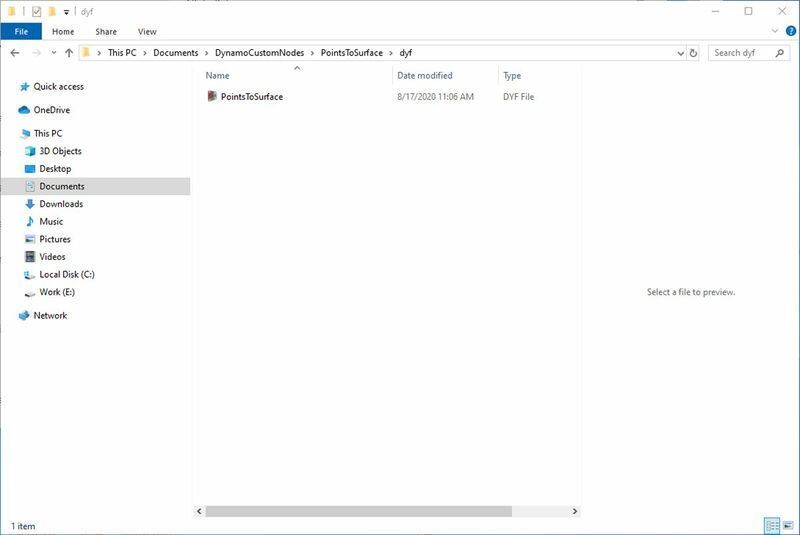 Dynamo will check this folder each time it loads, so make sure the folder is in a permanent place. Navigate to this folder and choose "Select Folder". Your Dynamo node is now published locally, and will remain in your Dynamo Toolbar each time you load the program! 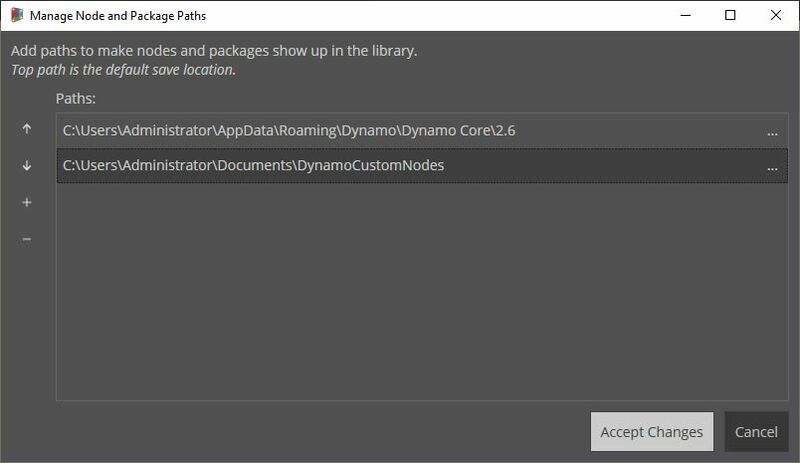 We switched the order of the path names in order to have Dynamo&apos;s default path as the package install location. 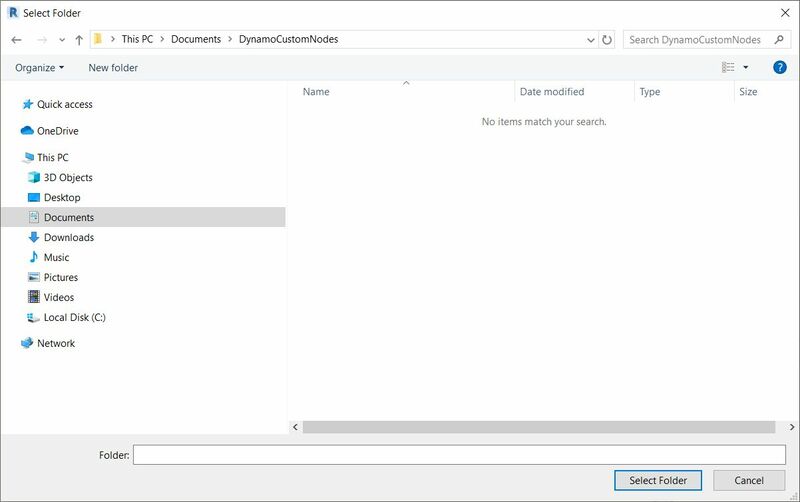 Navigating to this local folder, we can find the original custom node in the ".dyf" folder, which is the extension for a Dynamo Custom Node file. 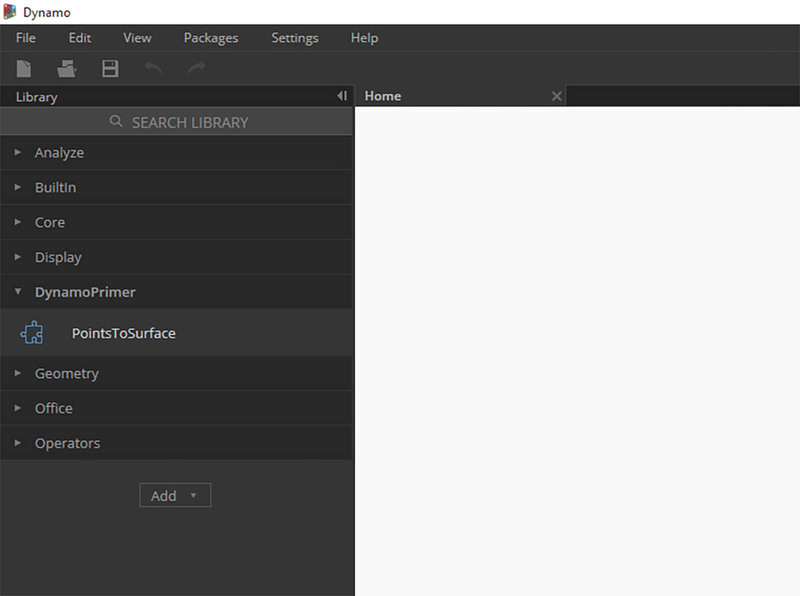 We can edit the file in this folder and the node will update in the UI. 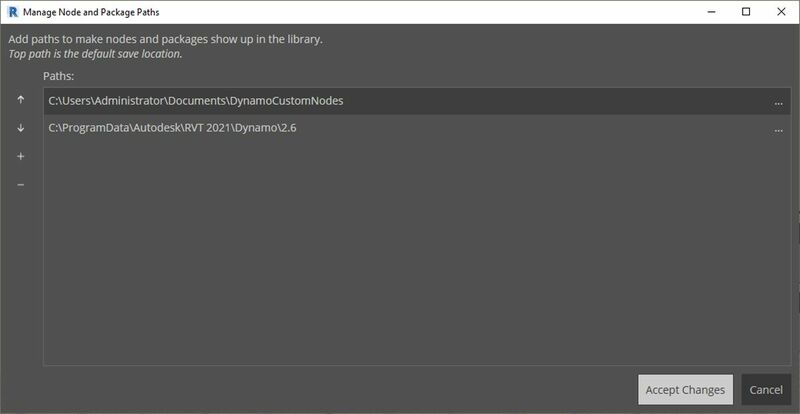 We can also add more nodes to the main DynamoCustomNode folder and Dynamo will add them to your library at restart! 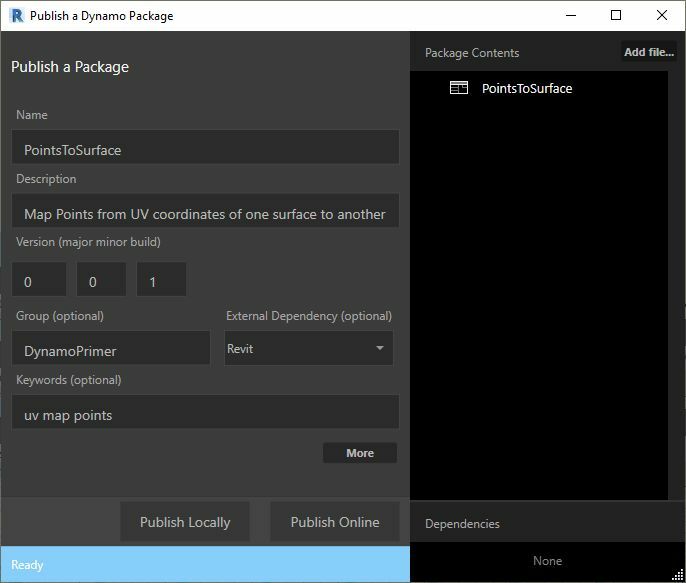 Dynamo will now load each time with "PointsToSurface" in the "DynamoPrimer" group of your Dynamo library.